Following the accident that killed her boyfriend and her baby, a young woman moves back to her dad’s house, which proves to be haunted by a strange ghost from the past. 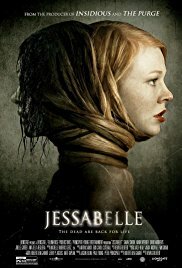 By the director of Saw VI and Saw VII, Jessabelle is kind of your classic ghost movie. It starts as expected, with some strange (but creepy) apparition, leading the main character (a young woman in wheelchair) to investigate about the past. 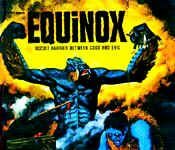 But let’s not that generic synopsis stop you from giving this one a try, for there are a lot of good things in it. First of all, the scenario is very good. The story is rich and well told. Make sure not to fall asleep because it can get a little complex, especially in the middle where you starts to have a lot of pieces of the puzzle – but no idea how to put them together. Thankfully, the complexity is rewarding enough and I really liked the ending which is a change from the usual “happy ending” that you get in most ghost movies today. The acting is also good and the movie manage to keep a good suspense throughout the all 90 minutes. There are some very good scares too, maybe not enough, but the few present are surprisingly effective. Overall and despite its generic aspect, I was nicely surprised by the quality of Jessabelle.